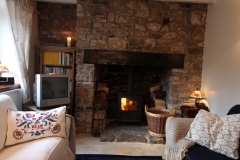 Spring Cottage is the perfect home from home, featuring modern appliances and furnishings, but within a character cottage with natural stone floors, oak windows, staircase and doors. 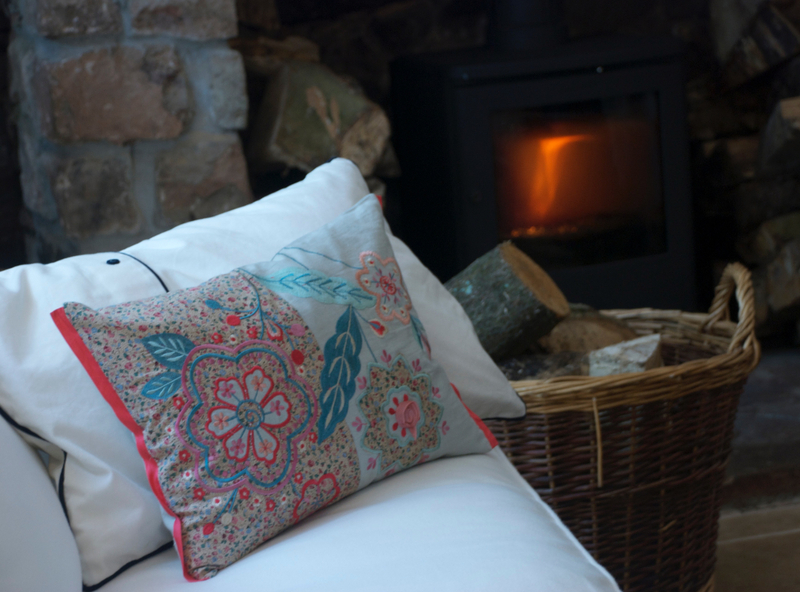 As people who enjoy breaks in holiday cottages ourselves we understand the importance of a well-equipped, comfortable and clean cottage and that is exactly what we strive to provide. 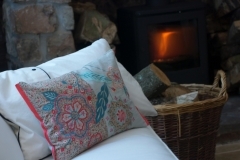 You can expect to arrive to a spotless cottage, with beds made using premium cotton sheets, Egyptian cotton towels laid out and all essentials (loo roll, salt, pepper, coffee, soap, dishwasher tablets etc.) provided together with a few luxuries (locally laid eggs and freshly baked bread). 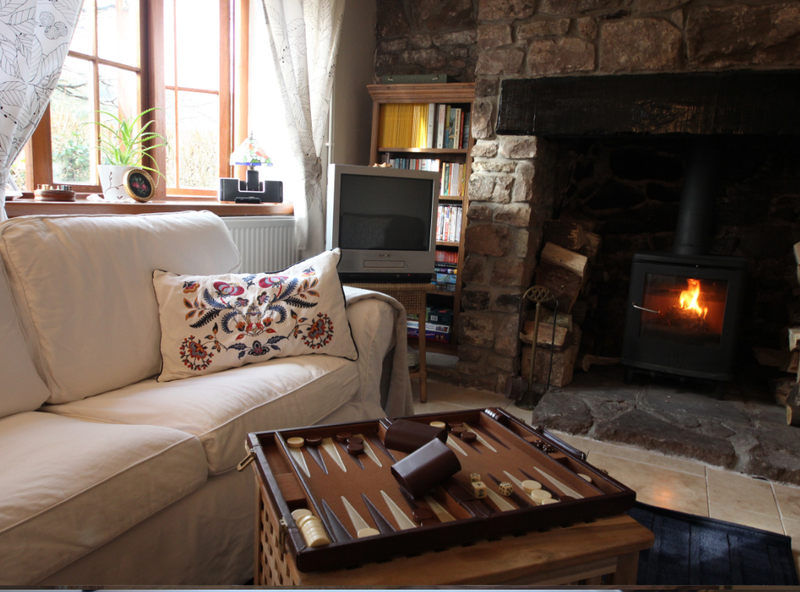 There is additionally free wi-fi in the cottage. 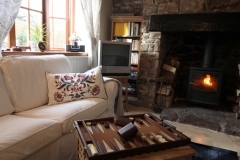 The ground floor contains the sitting room which is the perfect place for relaxing after a days’ walking or enjoying a cosy night in in front of the fire. 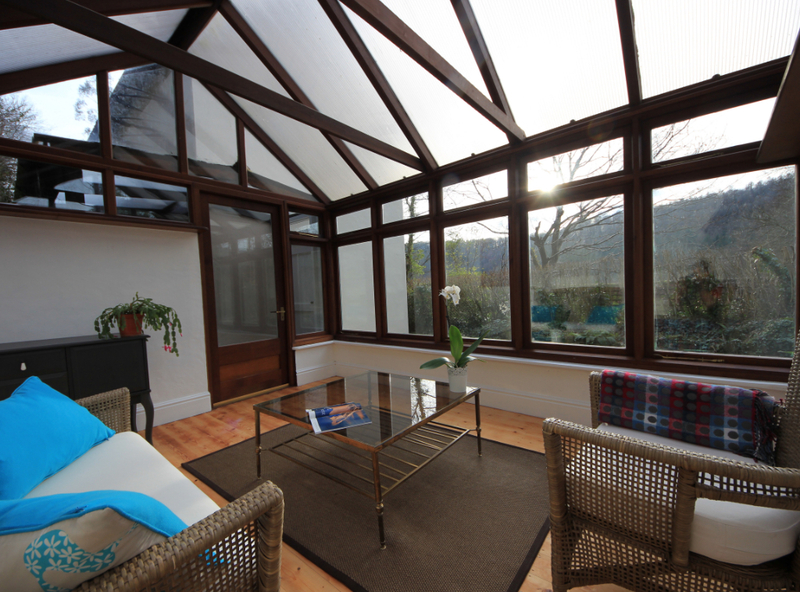 It has a natural stone floor, wooden beamed ceiling, two double sofas, a modern fully glazed woodburner, a television and DVD player. There is also a bookcase stocked with novels, magazines, DVDs and board games. 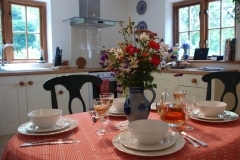 The recently fitted cottage kitchen/dining room is very functional with an electric hob and cooker, extractor hood, dishwasher, microwave, fridge freezer, toaster and kettle. The room has an oval oak dining table and chairs and phone/mp3 player dock for playing music. 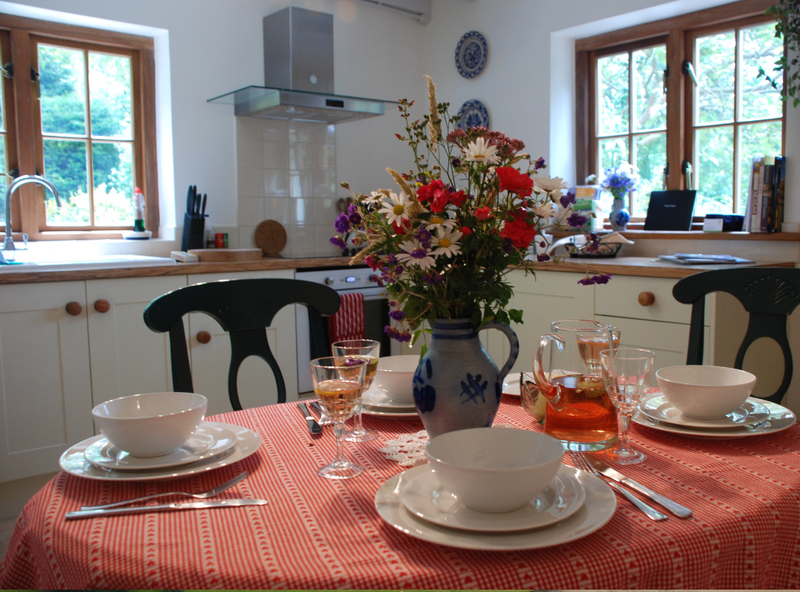 The kitchen is well equipped with cookery equipment and utensils, crockery and kitchen and dining linen. 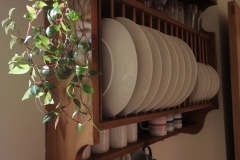 Larder essentials are also provided including tea, coffee, sugar, salt and pepper, olive oil, washing up liquid, soap and dishwasher tablets. 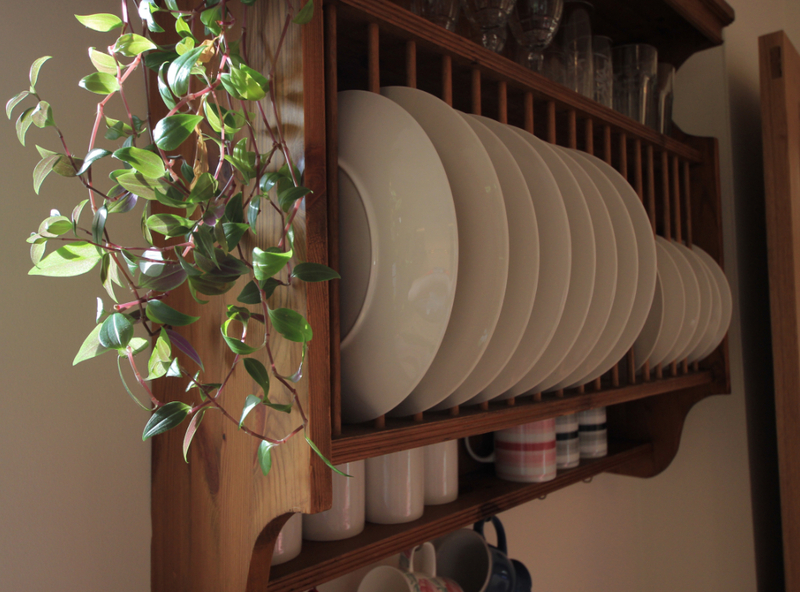 Adjacent to the kitchen is the utility room with storage for boots and coats, a washing machine, ironing board, iron and counter-top freezer. 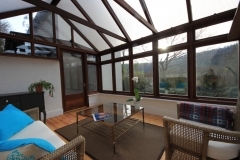 A covered external walkway leads from the utility room to the conservatory which has a comfy 3-seater sofa and table and is the perfect place for an afternoon read or as a playroom for children. 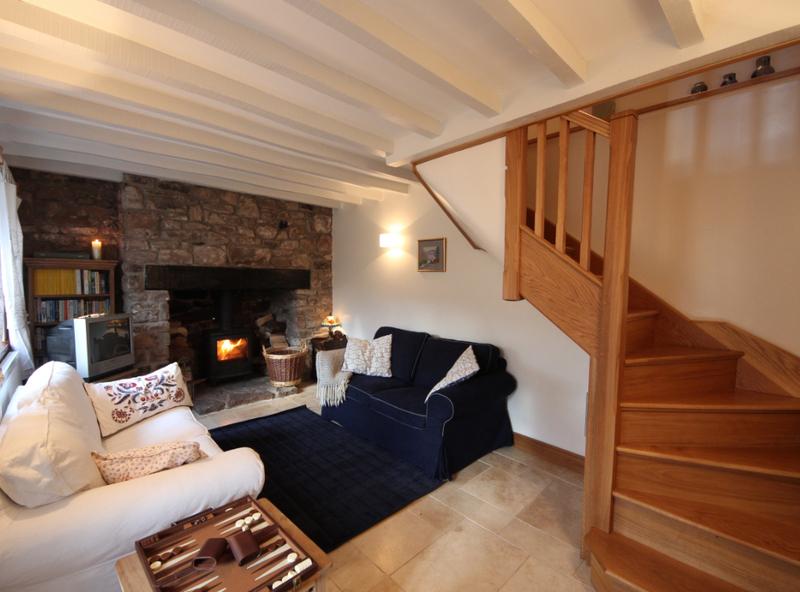 The first floor is accessed via an oak staircase off the lounge. 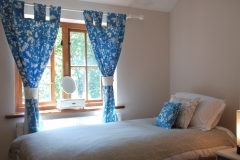 The bedrooms and hallway have thick natural wool carpeting, hand painted furniture and solid wood windows with stunning views over the valley. 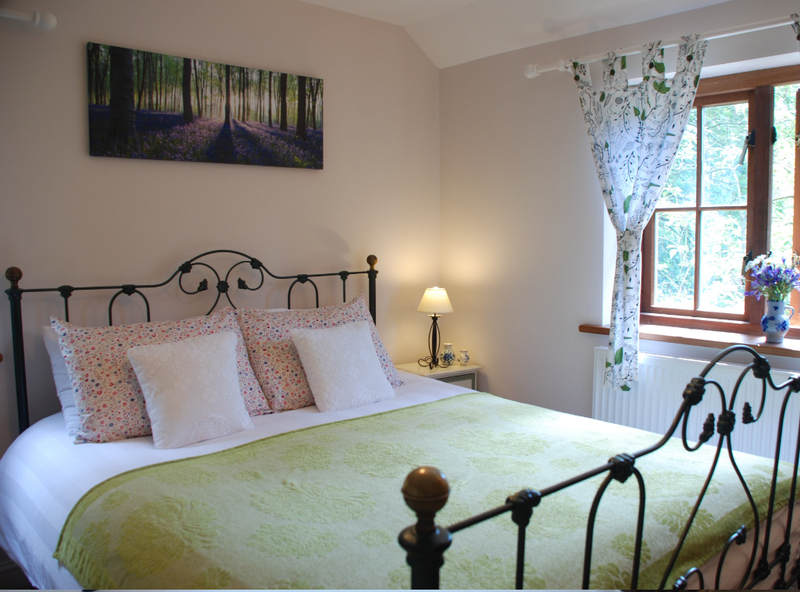 There are two bedrooms in the cottage – the master bedroom has a kingsize bed and the second bedroom either two singles or a king (please specify your preferred arrangement when booking). Beds will be made before your arrival and the towels will be laid out. 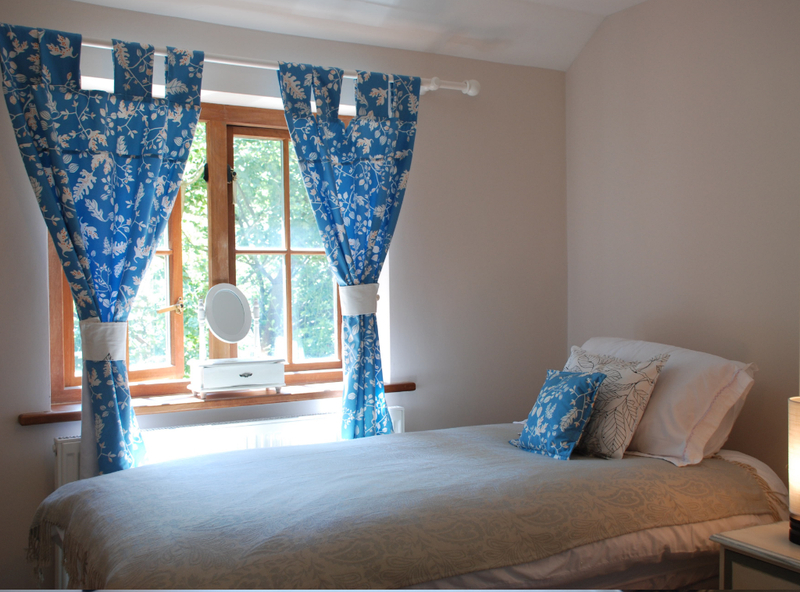 All bed and towel linen is 100% Egyptian cotton. 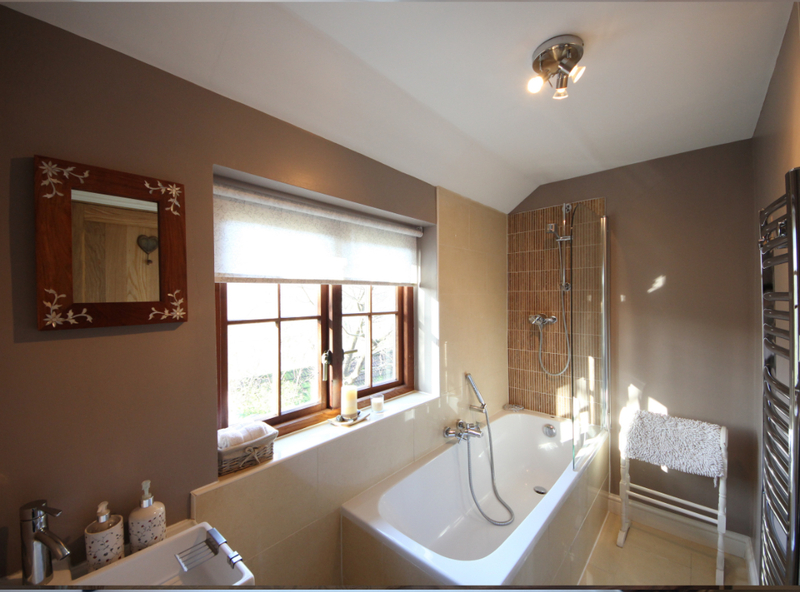 The Bathroom has a full length bath with separate shower above, heated towel rail, WC and counter top basin. The bathroom also benefits from some of the best views of the valley from the cottage. 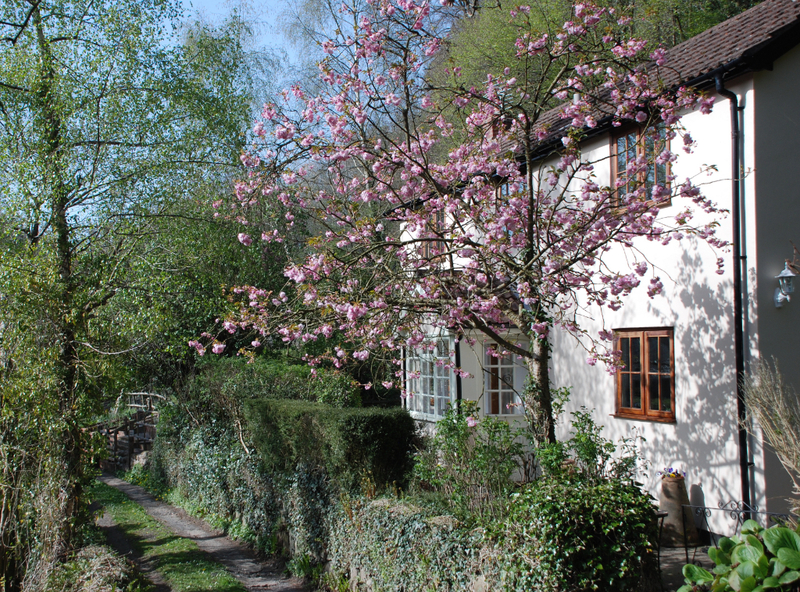 Spring Cottage is set within an acre of its own land which includes a pretty cottage garden. 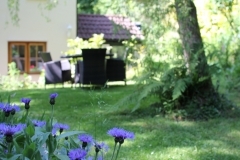 A barbecue and outdoor table and chairs are provided during the warmer months. 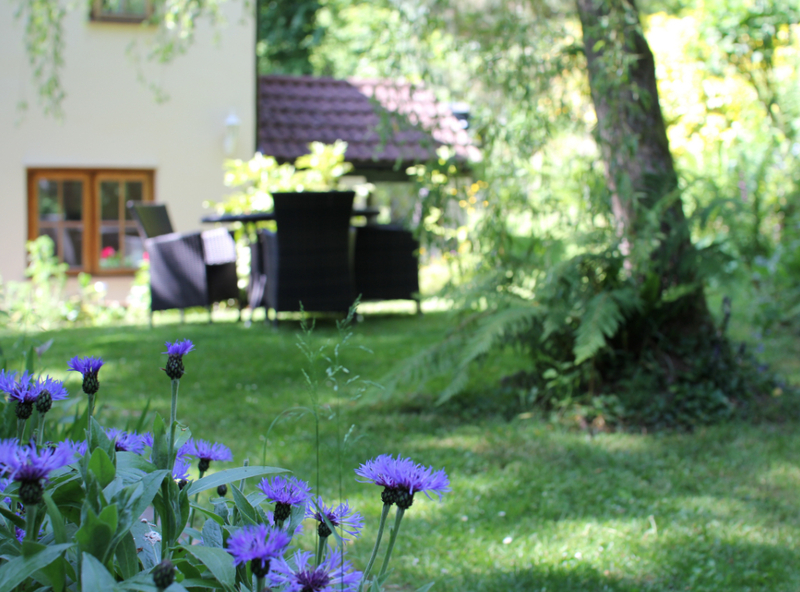 Above this garden is an apple orchard and beyond this is woodland, which is blanketed in bluebells during the spring. Parking for two vehicles is available in the driveway. 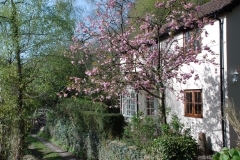 Please note vehicular access to Spring Cottage is via a one and half mile long narrow single-lane road which whilst suitable for cars is not suitable for vehicles larger than a Ford Transit. Children of all ages are very welcome. We can provide a highchair and travel cot if requested but don’t provide cot linen as guests generally prefer to bring their own. We also have toys, books, board games and DVDs to keep our younger guests entertained! We are dog friendly! 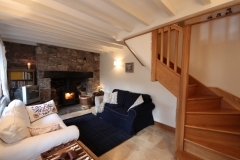 Up to two dogs are welcome at Spring Cottage but in the interests of other guests they are not permitted upstairs or on the furniture. 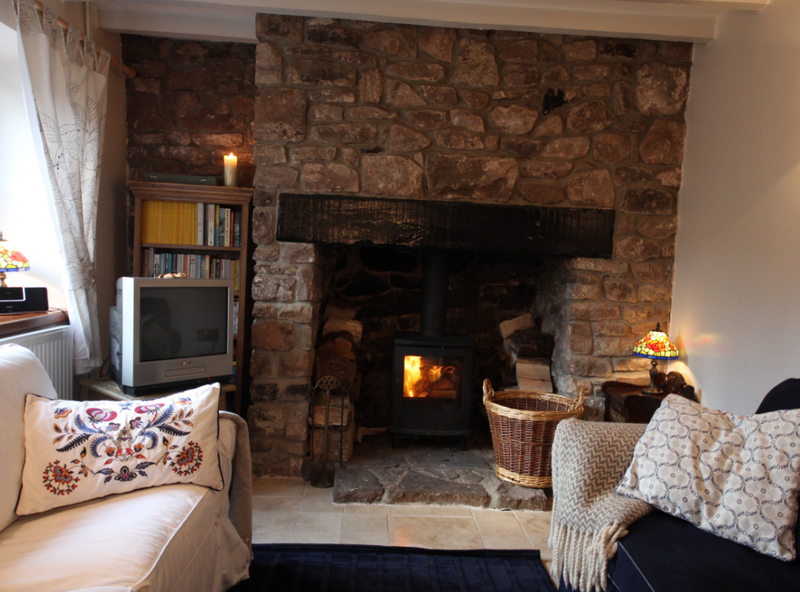 A fee of £5 is payable per dog per night to cover the additional time needed to thoroughly clean the cottage for the next guests.